You are here: Home / Free Crochet Patterns / Free Pattern Friday / 50 Free Crochet Patterns for Flowers and Bows! I love embellishments and there are so many options available! For this week’s Free Crochet Pattern Friday I have curated 50 (no typo there!) 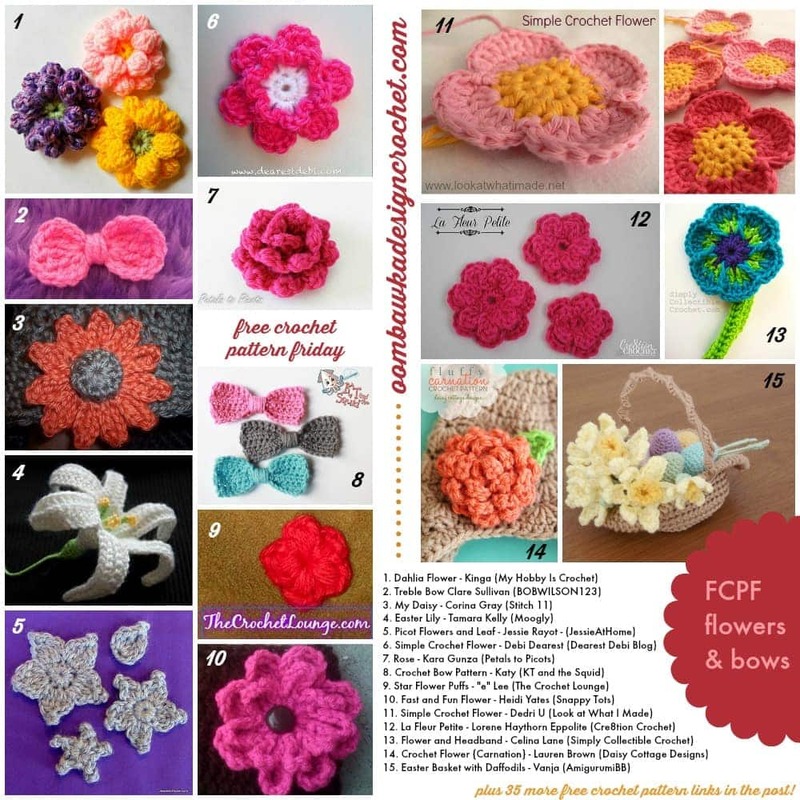 fifty free crochet patterns for flowers and bows. So please contact me to provide consent – and you never know – next week your design could be featured too! To learn more about this opportunity read this post: Would you like to be featured? You should put photos for all the patterns, otherwise people won’t be inspired to click the links. Love all the flowers and bows to add to other items. I love the flowers. I wanted to make a bouquet for my mom but see so many things I want to try first. Another great list which helps me to improve my ability in understanding and making new things – I am very greatful – thank you, Rhondda! Wow! Thank you for including mine!